The best materials for raised garden beds are attractive, durable, and non-toxic. 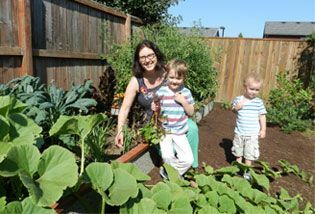 We get asked all the time, "what are the best materials for raised bed gardens". We've been replacing wood, plastic, composites and metal in residential and commercial settings for more than a decade. They all have huge drawbacks. plastics warp and don't breath. Durable Green bed is sturdy, durable, non toxic. 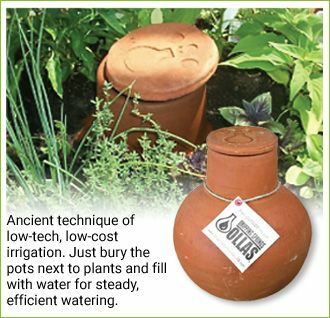 It breathes, allowing for healthy soil, and it repels some pests (slugs hate it). In short: Made with nothing but 85% mineralized wood and 15% cement, Durable GreenBeds (based on the the Faswall® green building system) is among the most environment-friendly and healthy building materials available. The main component of the GreenBed is a unique material called Faswall, a woodchip/Portland cement composite material invented in Europe and used to build high-performance, sustainable buildings. This woodchip-cement block was invented in Europe in the 1940’s for building high performance, sustainable homes and commercial buildings. It is rot-free and non toxic due to the unique mineralization process of the wood fiber. GreenBed wallpanels are made from this same remarkable rot-free and non-toxic material. Better than the rest: Beats Wood, Concrete, Plastic. 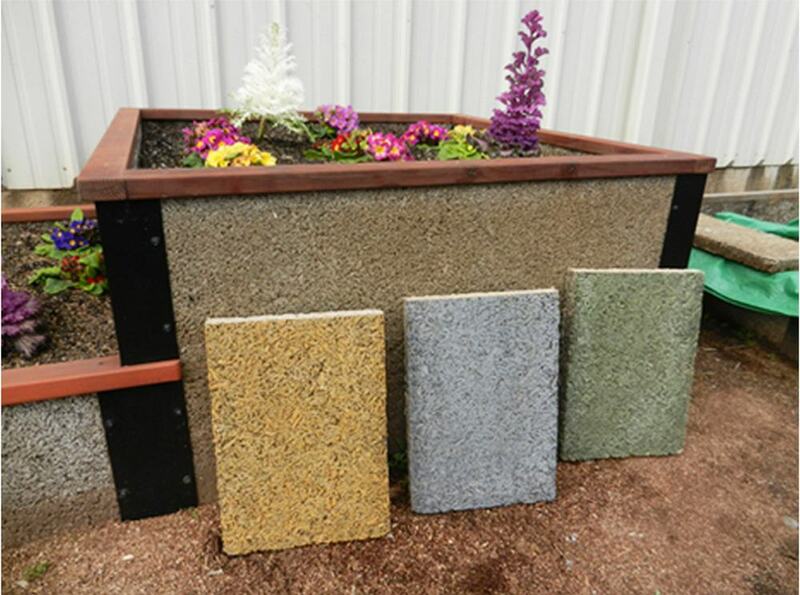 Other materials used for gardening beds such as wooden panels, cast concrete plastic boards, cement blocks, railroad ties, and pressure-treated wood have either short life, and/or toxicity issues. Faswall® wall construction materials are made entirely of organic and earthen materials: 85% mineralized wood chips from recycled wood and 15% Portland cement and slag cement — nothing else. The wood content of Faswall® block is 100% clean recycled pallets. In addition to the GreenBed panels the kits include aluminum brackets, and a cedar wood trim kit with a bio-based non-toxic penetrating oil finish. Tom and Paul started Faswall to bring green building materials to the mainstream in the US. With the recession, the slow down in home starts in 2009 propelled them to reach into other markets besides construction. It is rot free, extremely durable, and non toxic. GreenBed™ debuted in 2011. 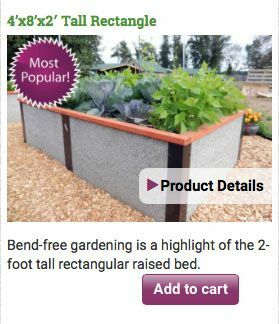 The response was tremendous for this unique, new solution for raised bed gardening. 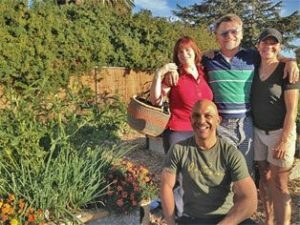 Durable GreenBed is getting recognition as the most innovative material on the market for raised bed gardening. It is the answer the question that backyard gardeners have scratched their head over: “What the heck do I build a raised bed out of?” Wood rots, plastic boards are, well, plastic, railroad ties are treated with poisonous creosote, cement blocks are heavy and ugly, and pressure treated wood has unpronounceable chemicals. On top of that most of the available planter beds are not attractive-simply a wood or plastic box.